Boom youngster Flynn has been installed the $8 favourite to take out the $432,000 Launching Pad series kicking off on Thursday night at Sandown Park. The Harry Manolitsis trained sprinter broke Fernando Bale’s Bendigo track record at his fifth start and hasn’t raced since recording his sixth career win at Ballarat on 16 February, six wins being the limit for this series. He is yet to have had a start on a two-turn track though has reportedly trialled impressively at Sandown Park in recent weeks. And despite drawing box 4 on Thursday night, TAB has marked him an even money favourite to win at his Sandown Park debut. Six greyhounds share the second line of betting at $12, including Sennachie – one of three runners for Steve White – who brilliantly won in the best of night 29.42 at Sandown Park at his last start on 21 March, as well as Aston Peregrine for Paul Abela who boasts the fastest winning time of all greyhounds contesting the heats. After opening at $26, Anthony Azzopardi’s Seal The Deal has been clearly the best backed runner and is now also rated a $12 chance. Other notable runners include Dolly Mac ($18), a brilliant winner of her first five starts who is returned to the track for the first time since last December. Federal Impact ($34) will have his have his first start in over six months and his first for Peter Lagogiane, who trained the winner of the 2018 Launching Pad winner Beast Unleashed. There’s A Catch ($51) which is the only undefeated greyhound to take its place in the heats. 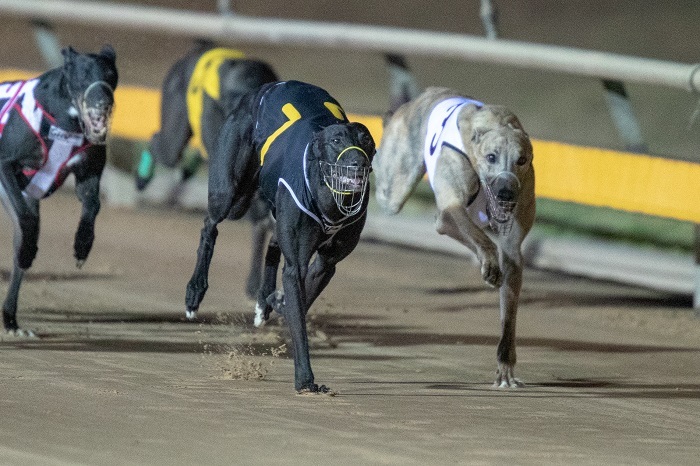 A number of qualifying series were held around the country with Spearhead ($34) qualifying through Sandown, Curt Lee ($26) via Sale, Zipping Norton ($34) from Bendigo, and Red Rock ($26) flying the flag for South Australia after qualifying via the series in Angle Park. 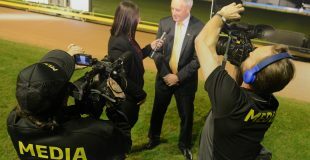 The Launching Pad is Australia’s only sweepstakes event with participants paying $2000 to secure one of 64 places in the heats and is open to greyhounds with 1-6 wins and no more than 30 starts. Greyhounds from around Victoria, New South Wales, South Australia and Western Australia will contest the series. In all, 45 of the 64 runners have already had a start at Sandown Park, 34 of which having won at the View Road circuit. The first four from each heat will progress to the semi-finals on Thursday 11 April, with the winner and runner up from the semi-finals progressing to the final on Thursday 18 April where the winner will pocket $150,000. The greyhounds that fail to progress to the semi-finals will advance to a consolation series, giving all greyhounds two opportunities to win big prize money. Also on the night, one of Victoria’s most storied chasers Jesaulenko will have his final start when he jumps from box 1 in race 6. The Terri-Maree Morris trained five and a half year will make his 122nd and final career start on the back of a brilliant best of night win at Sale where he defeated 2018 TAB Melbourne Cup runner up Black Opium. Click here for your free Watchdog form guide. Don’t forget the TAB Early Bird specials! From 5pm-7pm on Thursday, markets on all 12 races will be priced to 110% meaning there will be fantastic value available across the card. Click here for the latest market for each Launching Pad heat.